Looking for a recipe that Santa is going to love this Christmas Eve? Can you believe we're on day 14? 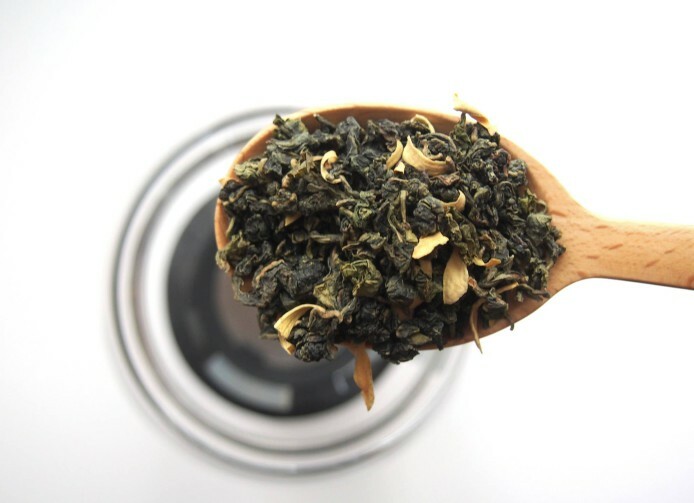 Time is flying and we're so excited to welcome Oolong Orange Blossom. The smooth flavour of beautifully twisted Chinese Oolong tea combined with the delicate fragrant orange blossom, together produce a light and airy character with delicate citrus notes. To celebrate this beautiful tea, we have tried and tested this beautiful tea as an ingredient in baking and created a delicate Oolong orange blossom flavoured shortbread.... These are so good that we heard Santa is hoping to find these on this plate this year! In a food processor add the flour, icing sugar, tea leaves and salt- whizz until finely mixed and the tea is distributed well. Next add in the butter, orange water and vanilla essence and blitz again until a dough is formed. Tip the dough out onto a surface and form it into a sausage shape about 4 cm wide. Wrap tightly in cling film and chill in the fridge for about 30 mins. Remove the dough from the fridge, unwrap the cling film and slice into roughly 1cm wide pieces. Arrange the pieces onto the baking tray, making sure there is about 3cms between each piece as they will spread in the oven. Bake in the oven for around 10 – 12 minutes or until the edges start to brown. Remove from the oven and allow to cool on the trays for about 5 mins before placing on a rack to cool fully. We love to hear from you and might even send you a few little samples to say thank you!